Are hybrid courses the best of both worlds in higher education? According to recent research, around 70% of students seem to think so. 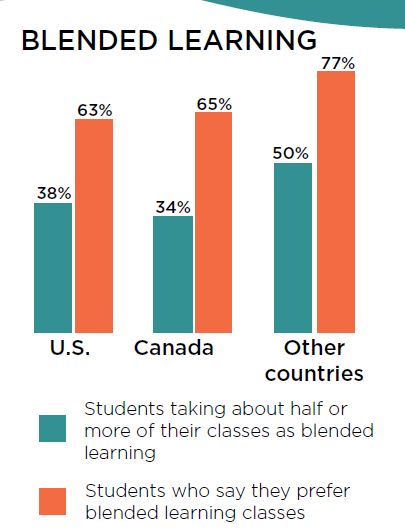 In their 2014 review of undergraduate students, Educause Research found that students prefer and learn the most in blended learning environments. Students still value some degree of contact with instructors, along with effectively integrated online technology.